Winter is here, and it's the time of year when even the most social butterfly feels the need to wrap themself in a doona cocoon and not come out until the weather warms up. And if you're a book nerd like me, you'll love spending the winter months lost in the pages of any book you can get your hands on. Here's my list of five books you should read this winter. Don't let the size of this book put you off - yes, it may be big enough to club a man to death with, but this beautiful book deserves to be treasured rather than used as a blunt instrument. When Gregory David Roberts's marriage broke up, he turned to heroin and armed robbery. Sentenced to 19 years in prison, he escaped and spent 10 years on the run, often listed as Australia's Most Wanted Man. Eight of those years were spent in India, where he set up a free medical clinic for slum-dwellers and even worked for the Bombay mafia. Beautifully written and spellbinding at times, Shantaram is one of the most amazing stories that's ever been told. And at over 900 pages long, it'll keep you going for a while. 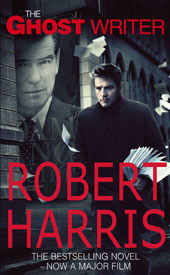 A ghost writer is called in to rescue the memoirs of the former British Prime Minister, following the death of the man first tasked with knocking the memoirs into shape. Holed up in a secluded and desolate ocean-front house, the unnamed narrator soon discovers that his predecessor had stumbled across secrets which cost him his life. From there, the ghost is plunged into an increasingly terrifying web of deception and intrigue, caught up in a conspiracy that is so much bigger than just one man. The book has now been turned into a major film, but, as is often the case, the written version is so much better than the movie. When I first picked up The Book Thief I was a little worried it might be a bit too "Oprah's Book Club" for me, but I could not have been more pleasantly surprised. Books set in Nazi Germany are always in danger of treading down the same path as countless other novels before them, but Zusak manages to avoid the usual stereotypes. Compellingly narrated by Death, this book tells the story of Liesel, a young German girl living with her foster family in Munich. Just as Hitler uses words to control and exert power, Liesel understands the power of words to do good. Unsurprisingly, there's no shortage of heart-breaking moments in this book, but it's so engaging and well-written that it's impossible not to love. While Gallipoli is the most well-known campaign in Australian military history, other campaigns seem to get overlooked. 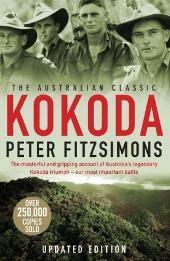 But if it wasn't for the brave men who fought desperate, bloody battles and braved truly horrendous conditions along the Kokoda Track, Australia would have faced a Japanese invasion. FitzSimons follows the ordinary heroes of the campaign and offers some stinging criticism of the military hierarchy at the time. I couldn't finish this list without a comedy, and Christopher Brookmyre is one of the funniest writers around. 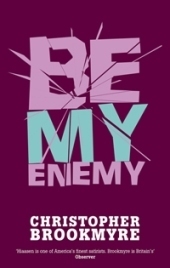 Be My Enemy centres around investigative journalist Jack Parlabane, who is called out to attend a corporate team-building weekend in the Scottish countryside. A proud cynic, Parlabane goes along not expecting much, but when the entire weekend takes a turn for the weird, everyone soon finds themselves fighting for their lives. Brooxmyre's mix of satirical plotting, black humour and graphic violence keeps things moving at a cracking pace. The perfect winter read. 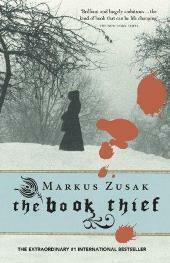 I had exactly the same fears about The Book Thief, and was equally as delighted by it. 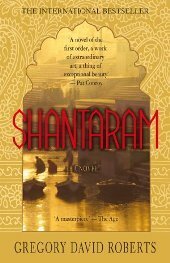 Shantaram I haven't read, but have been meaning to... you may just have given me the motivation I needed.